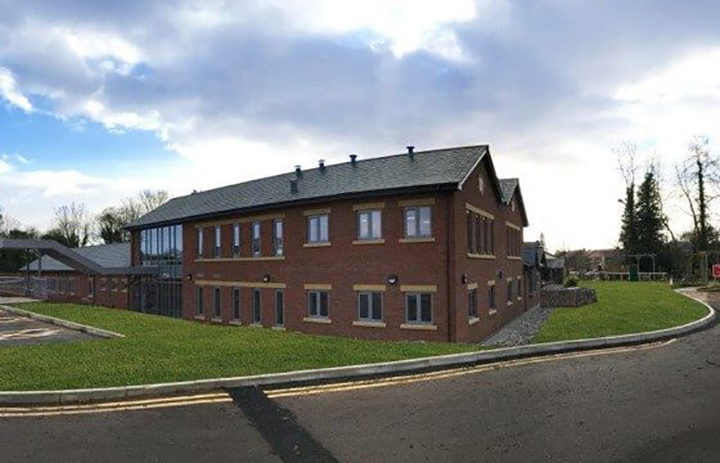 The Hospice of The Good Shepherd in Backford, Chester required major refurbishment works to the existing building as well as a £2.2M extension which would double the size of the Hospice. The new building features clinical treatment, physiotherapy, and consulting rooms, four en-suite bedrooms and a communal space for day visitors and activities. In addition, there is an orangery café, a shop and garden with a patio area. The project design features encompassed a number of energy saving initiatives. A&M was awarded the Roof Insulation package where insulation was installed to the roof area of the new extension with netting stapled to the underside of the timbers.